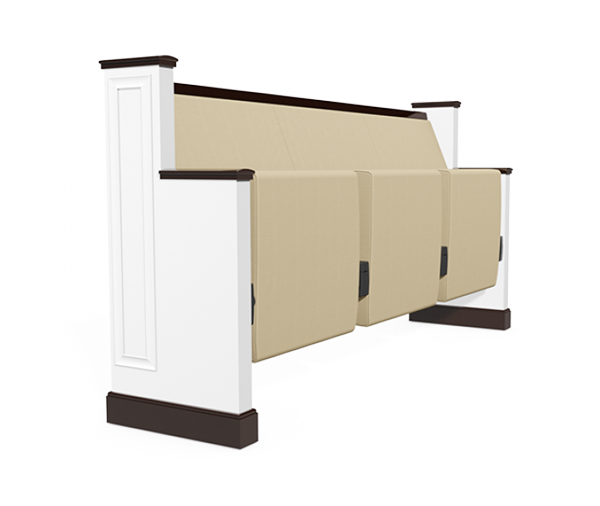 The space efficiency that SERIES' church theater seats brought to the church market, created a universal movement away from traditional church pews. Yet our sensitivity to the value of tradition, inspired design innovation that would retain the familiar look of a pew while incorporating the space efficiency of a theater seat. This commitment to both form and function came together in the creation of the Pew Optima.